If you use a a Harley CV carb and the timing is controlled by the TPS will it run at All? How can you mess up the TPS? You take it off, there is a little black part that connects to the throttle shaft. It seems foolproof. Is there an adjustable idle mixture screw on this Carb? 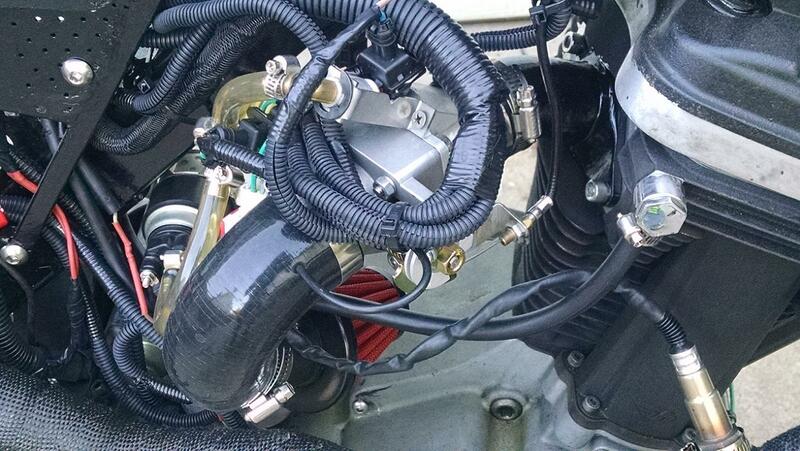 The carb boot is coming, a #45 jet can be picked up at the local Harley shop. It has been on you tube on how to adjust the enricher so that it runs richer. May put a vacuum gauge on it to see what's up. Timing and valves should be on the money at 245 miles. All the carb passageways blew out nicely. All the gunky stuff appears to be cleaned out of the carb. Above idle it runs great, pulls hard at WOT. Fun feeling scoot. I look forward to seeing how the new parts and adjustments help out. Bike is in great shape and the owner needs to get in some good road smiles. Timing just defaults to WOT. TPS doesn't control timing, just the timing advance curves (just like a VOES switch on all other carb'd harleys). It's not high tech. AE is the same as a choke on regular CV carbs. It's just doesn't have a manual control (just heated Electrically). TPS might seem foolproof, but apparently its adjustable. I haven't run the AE or TPS in many years. All my engines wound up on the racetrack and the Blast carb wasn't suited for it. Since you seem knowledgeable, I'd be more comfortable with you fixing the Blast carb, than someone inexperienced. PS I've seen some great stuff on YouTube and some really really bad Blast stuff on YouTube! That's basically just a general warning!! Got it running. Slow jet 45, . Drilled the idle mixture blocker and turned out 2 1/2 turns. The enricher was already wide open so didn't touch that. New boot. Had to hand choke (cover air horn to get gas to draw into throat of carb) it to get it to start cold. Backfired a fair amount when first started. Tighten boot clamps even more and that stopped. Test drive went well. Idles great. Starts great when warm. Look forward to cold start report. Fingers crossed, we will see. OK it takes 5 minutes cranking to start cold. I need the auto enricher flow chart. I need to see if gas is being drawn up to the enricher chamber. 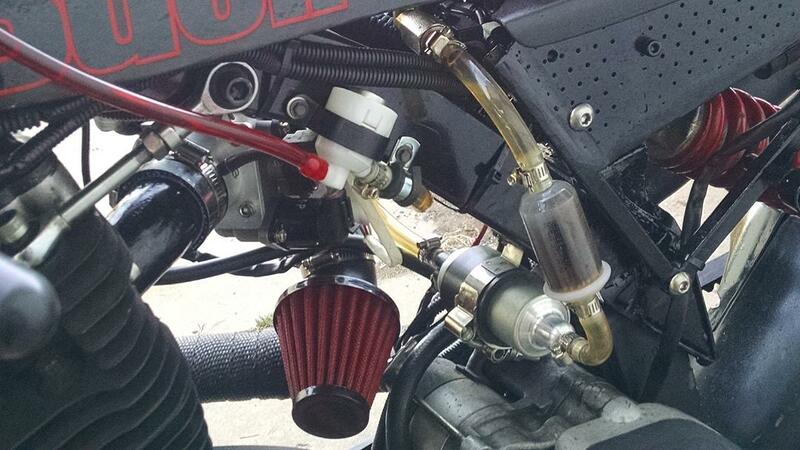 Its a straight shot from enricher chamber to the throttle bore. I need to make sure I have good flow from from the float bowl to the enrichment chamber. When I hand choked it it drew plenty of fuel. I appreciate any advice on how to make the choke work better. I said earlier that the enricher was wide open. I think Im gainin on it gang. Thanks for the advice. Okay I'm new both to this group as well as to riding on the street so hello anyone that is reading this and please be kind. Just bought this bike and was having trouble getting it to start. My neighbor cleaned out the carb about a week ago. I took it for a short ride and just as I pulled onto my road and went to downshift the bike went into neutral but would not go back into gear. At that time the idle did surge for a minute. I shut it off and another neighbor came out and was able to get it into gear and to my house. After this I figured out that it would start by giving the throttle 4 pulls and then open it completely up while starting it. It seemed fine for a couple more very short rides but yesterday I when I started it up it was grinding as I went to put it in 1st gear. I tried 2nd and the same thing. Finally it went into gear and from 1st to 2nd fine. I put it in neutral when I got to the stop sign and was unable to get it back into gear. I ended up asking yet a 3rd neighbor to help me push it back to my house (as I can only push it while sitting on it due to my size and strength.). I do remember right before taking off that the clutch didn't seem to feel like it normally does.). An hour later a friend went to my house to rethread the shifter toe peg. He was gone by the time I got back but didn't have the key anyway. Yet another guy friend of mine came down to see my bike but this time it wouldn't start. Since it seems that as soon as I bought this bike all of my guy friends are suddenly expert HD mechanics who never do anything but losen bolts or whatever and leave things off while taking their tools with them, I've decided that I no longer want any of them working on my bike. I need to learn this for myself. 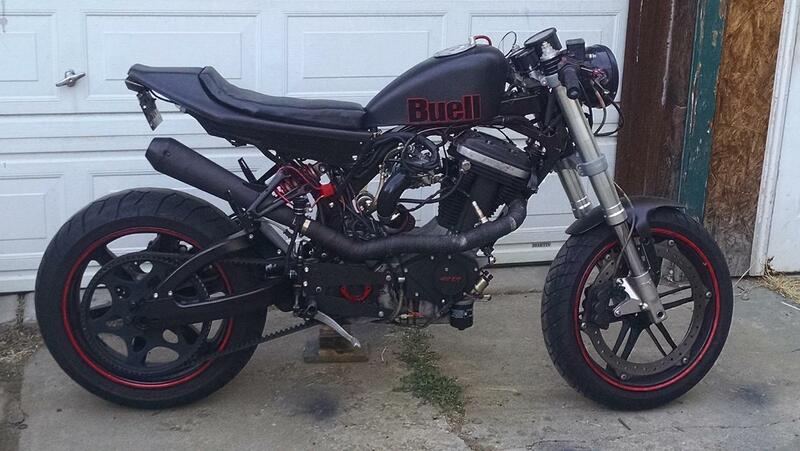 I am begging for the advice of all of you who I hope better understand Buell Blast issues. It cranks but I'm guessing that either it's flooded or possibly not getting fuel? When I first took it out (after dumping all of the gas out including 2 cans of sea foam that the "new HD mechanics" had dumped in then replacing it with high obtain fuel.) I realized I'd accidentally been on reserve. Since this bike is an '06 with only 2400 miles on it, it's crossed my mind that the bottom of the tank may have had sludge that got sucked into the reserve line. At any rate it doesn't start now with the gas on. Issue 2: It's not shifting into 1st or 2nd gear (pulling in the clutch.) There were soooo many things online about this but mostly only in higher gears. I did buy oil, a spark plug, an oil filter and a gasket that my neighbor said I needed that goes between the carb and the air filter. * I did add a little bit of oil to it and ran it a few mins an hour before it wouldn't start this last time. It is just a little bit above the line on the dipstick but not much. Please help me figure out where to start. I'm getting buried financially with my harem of "mechanics" (who I figure want to get me to hang out under the guise of "helping"). First: the Blast is and is not a Harley. Many Harley guys (professional and non professional) don't know the difference with this bike and often foul things up. Second: shifting into 1st and 2nd gears is often a problem on this bike. Causes: loose shifter, too tight primary chain, too high an idle, improperly adjusted clutch. If it's a used "Riders Edge" bike if often due to abuse. Make sure the shifter is tight. HAs the primary chain been adjusted? If it has, it's probavly too tight as the repair manual is wrong in adjusting specs. Third: STOP taking the carb apart. If someone tells you "it needs a good cleaning" it translates to "I have NO IDEA what's wrong and I hope this helps". It rarely does and VERY OFTEN causes more problems. The auto enrichener (or choke) is probably not working very well, probably from sitting. The slow jet in the carb needs to be replaced with a #45 (common stock Harley part) as its lean from the factory. This often cures hard starting or at least makes a marked improvement. We'll need to take it slow. At 2400 miles it's still brand new and there should be NOTHING wrong with it. Stop changing parts and let's find the problems first. Then if you want to change parts you won't be messing anythjng more up. But let's solve one problem at a time. Last but certainly not least "Das Boot" or the intake boot commonly fails. It might be bad already. Nonetheless, order a new one. At 11 years old you'll need one sooner or later. Get one now! If you don't get a response here, feel free to pm me. The hard cold starting blast has been solved. The choke fuel enrichment jet was never drilled. NO fuel was going into the enrichment chamber. NONE. I drilled it and it starts now. It may be getting a little too much fuel now. Have adjusted the enricher so that it's not as open cold. You have to hold the throttle open a little for 45 seconds and then it idles fine. I may adjust the enricher little more closed to see how that works. Any body ever had an undrilled Carb? I have not. Owner rode bike to fill with up tank. He liked the ride. Thanks y'all. Interesting. But I wonder how it ever started when cold? I would say "how did it ever pass final inspection before being released to the customer? ", but I know the Blast was very low on the 'givashit' list and many dealers were just happy to see them leave (hopefully not to return). 2004, 240 miles, 3 owners. It only ever started with help or luck a little fuel dribbled in from a jet or two from constant cranking. This was amazing. 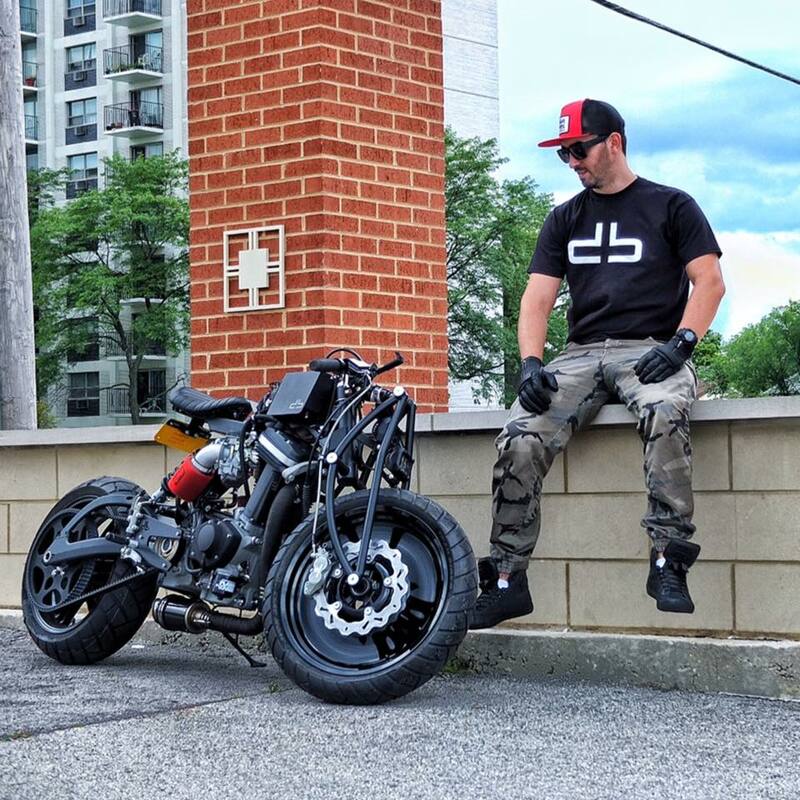 Is Buell riders online offline? Did a lot of work on it over the winter. New custom sportster style tank, exhaust, paint and EFI! Interesting mods, any power improvement? 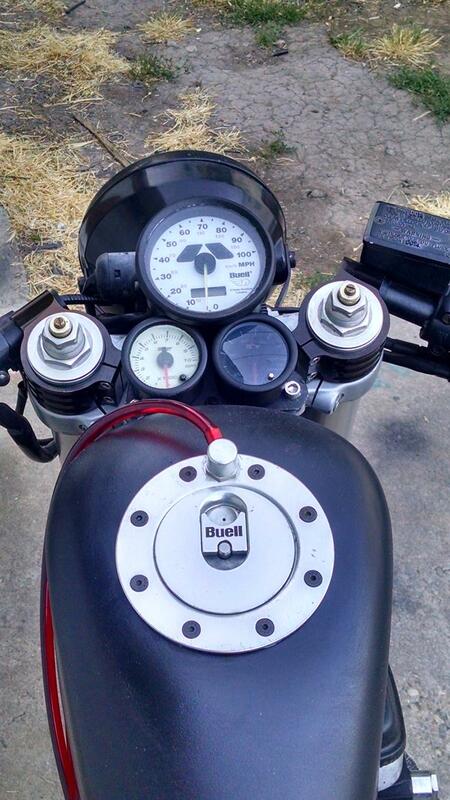 Hello Im a new to motorcycles and bought a 2001 Buell blast which has been still since before I went to college and moved. Last time it ran was in 2010 and it leaked oil something wicked. It leaked from up top as far as I can tell. I've pressure washed it so once I start working I can further tell where it's leaking. How many miles on the bike? Was it stored inside? Just the rocker cover gaskets and PCV grommet. Don't pull the cylinder head. Replacing the belt probably isn't necessary, but if you do, keep the old belt as a spare. Order a new intake boot "just in case". Do Not take the carb apart "to give it a good cleaning". If it has a running problem, it's probably a clogged slow jet. 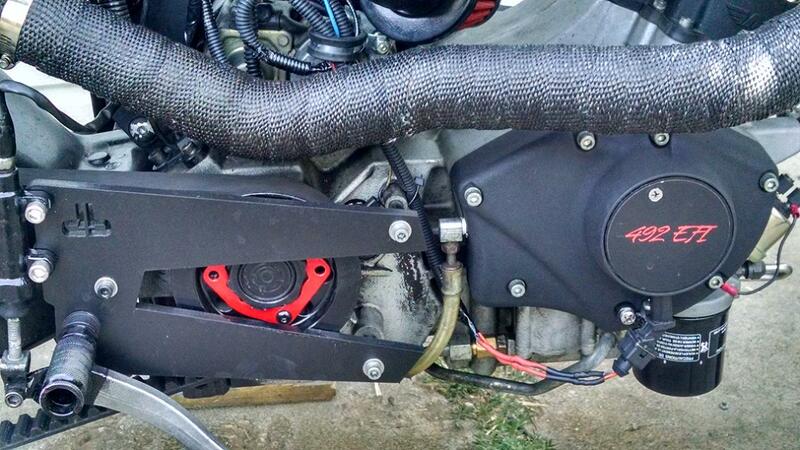 Go buy a new #45 slow jet-about $6-$10, stock on many Harleys before they went to fuel injection. Just ride it before you start replacing parts 'willy nilly' and see what it needs. If you just start replacing parts just for the sake of replacement, you're much more likely to run into problems. PS An oil change with filter takes 1 3/4qts and it be FULL!! Change it when it's hot or at least been ridden for 10 minutes. Oil capacity is 2.25qts TOTAL-that's if you get every last bit of oil out of it-which you won't with a normal oil change. And now something different - Romania strikes again - or should he be called "Chicago" now? Anyway - once again a great rendition! When releasing the clutch? If so, could be the shifter pawl is out of adjustment. Unless the bike is high mileage or has been abused, the gears are probably fine. You should make sure all clutch and chain adjustments are good as well as using the correct trans fluid filled to correct amount. yea when releasing the clutch,sometimes if you release the clutch half way to kind of preload there is no knock. low milage but it was a riders edge bike.I'll check the shifter pawl first. Thanks for the heads-up on the rear-tire ebay deal. Gunna give em a shot, only hope they aren't 5 years old. Alright, I am finally getting the back on the bike again after having my gallbladder removed. And I'm having some problems. First the bike wouldn't start, assuming it was old gas, (6 months almost) I dropped the bowl and also noticed the screw clamp folding the carb to the boot was loose. Now, it will start most of the time, but the RPMs hang when I let off the throttle. That would be from a vac leak right? humm, so i sprayed carb cleaner all around the boot and where the intake tube bolts to the head, no real change in RPMs. It should be a quick spike right? I have also replaced the boot. Crackle vacuum leaks on (HD) style carbs don't usually produce lingering rpms. 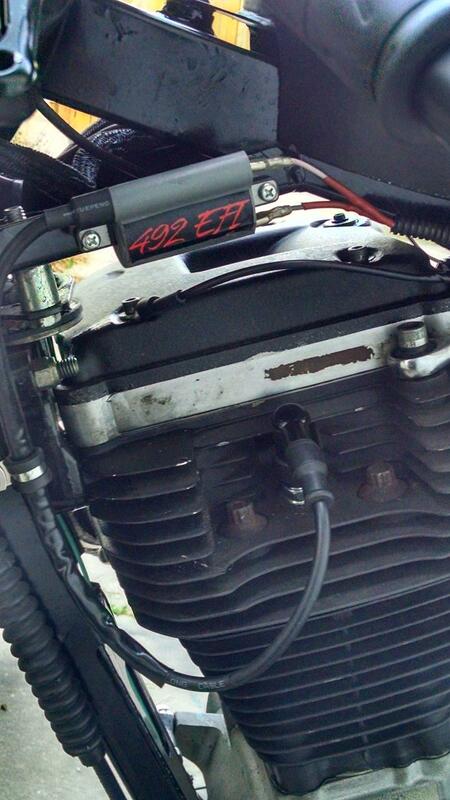 Can you observe on the carb that the throttle plate is snapping back all the way closed? I'm wondering if your throttle cables might need lubed. they recommend spraying soapy water to find intake leaks. But brake parts cleaner or carb cleaner can work. It can make the rpm's surge or it can about kill the motor but it's almost always a noticeable, reproduceable change. As in, every time I squirt this part of the intake manifold it does it. Lingering revs could also be an enrichener problem but it's been a hot minute since I've remembered how the auto enrichener works. I miss the pushrod and carb simplicity of the blast. I finally had to to work on the bike again. With fresh fuel I can get it to start cold, but when slightly warm, I have to put my palm on the carb. I can get it to idle around 2k for cold but then it will idle to far down and stall. The throttle is snapping closed. According to the manual, when cold, the Auto Enricher plunger is retracted (open)allowing air to travel thru the passage and when warm it slides over to block the hole.